The Google Trusted Store program helps shoppers buy online with confidence. 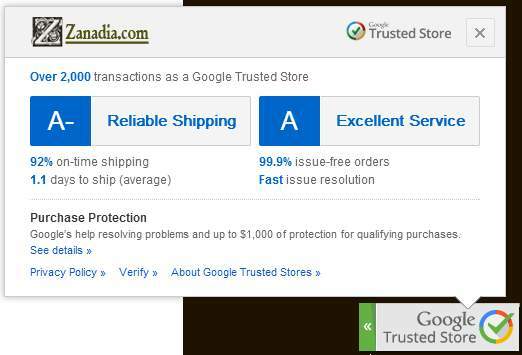 The Google Trusted Store (GTS) badge is only awarded to stores with a proven track record of reliable, on-­time shipping and excellent customer service. When you see the Google Trusted Store (GTS) badge on e­commerce websites, You can be sure that you’re buying from a store that provides a consistently excellent shopping experience. Shoppers also know that Google stands behind them when they shop, providing up to $1,000 of purchase protection in the rare event of a problem. Participation in this program is completely optional and free. 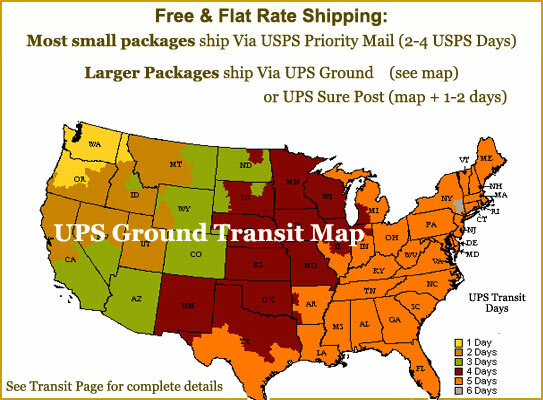 After finalizing your order you will be offered an option to participate in the GTS Customer Purchase Protection Program. You can see complete detail on this program by visiting Google Trusted Stores.